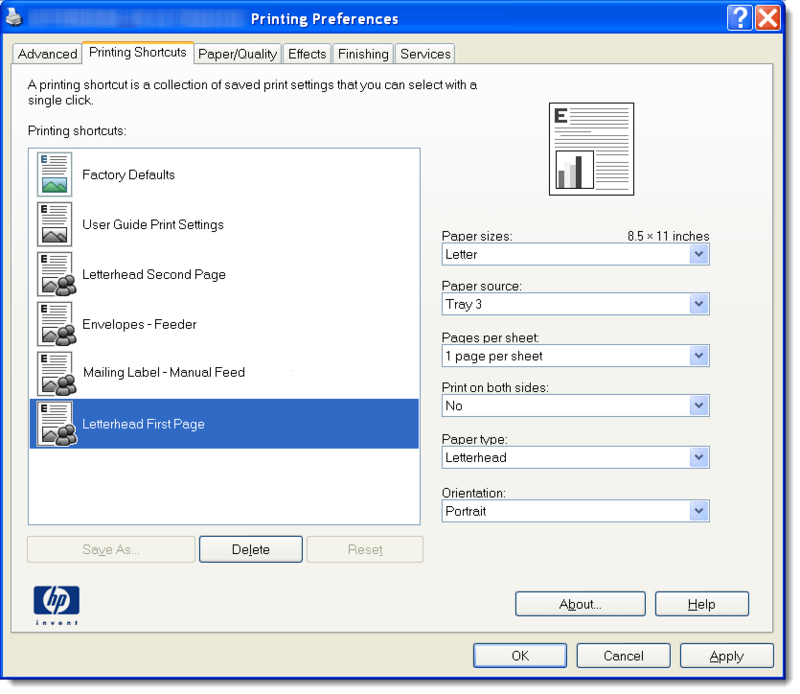 Word Perfect macros used with HP laser. are specific to the F-cartridge are marked with a "*". amply repaid many times over by the time they save you in the future. readable text on 8.5x11" paper using the F-cartridge. Consists of [margins 14, 104]. justified text and page numbers centered at bottom of page. 6LPI Sets 6 lines/inch spacing mode. 8LPI Sets 8 lines/inch spacing mode. 14*,1] [6 lines/inch] [margins 14, 104]. F2 *FONT 2 italic proportional text. Consists of [font 14*,2]. text. Consists of [font 17,5]. word processing program into internal WordPerfect format. CLR CLEAR the current document (i.e., delete it from the screen). Doesn't affect any stored copies. switches to the "other document", and calls the ENV macro. page. Consists of [Cmd <27>&l2X]. COPY3 *Same as COPY2 for 3 copies. COPY5 *Same as COPY2 for 5 copies. COPY10 *Same as COPY10 for 10 copies.